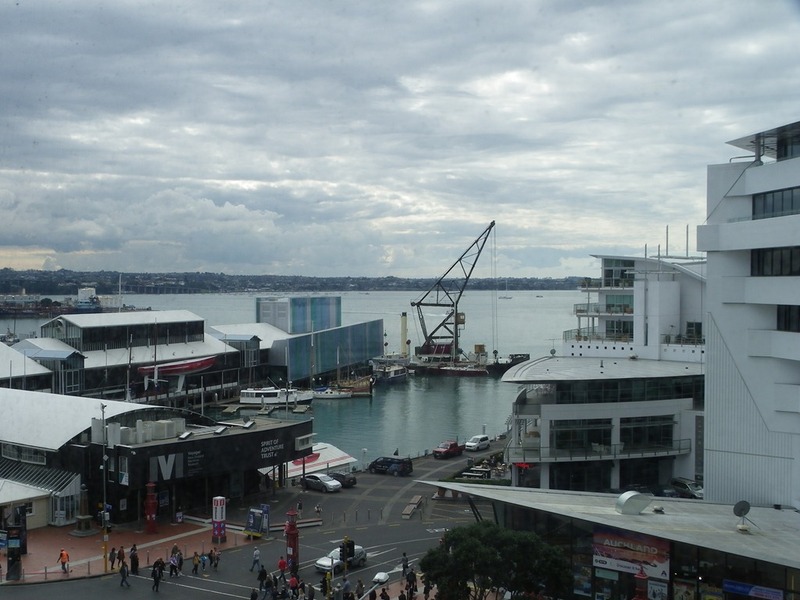 It was a three-hour coach journey north to Auckland, New Zealand’s biggest city with 1.4 million people. We had been booked into a waterfront hotel with some of the best views of the bay and with the afternoon and evening free we dispersed to explore the city. The Quay and Viaduct areas had been modernised and were full of bars, cafes and restaurants. That was where we bumped into referee Jonathan Kaplan who told us he would be taking charge of the England v Georgia game, and also said that he has refereed England 16 times but only three of those had been at Twickenham. Obviously a man who likes his stats! It was fairly quiet with the World Cup launch still two days away but everywhere was geared up for the influx of fans. 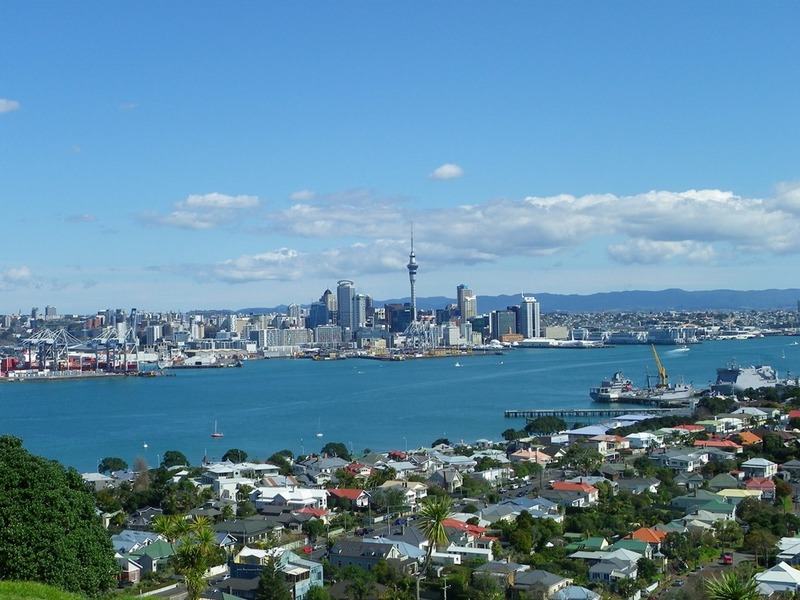 The New Zealand government expects about 85,000 tourists during the six weeks of the tournament but what they don’t tell you is that they would normally have about 140,000 overseas visitors over the same period. Many were staying away because of the Rugby but those who were coming would be spending substantially more per person. And there would be plenty of opportunities to spend that money although you would have to question the value for money of some of the goods. In the many official 2011 Rugby World Cup stores an All Black playing shirt would set you back NZ$180 (about £95) while you could by the same shirt in the Twickenham store for about £55. However I did succumb to the need to buy a RWC 2011 souvenir with a NZ $50 (£27) cap with the badges of the 20 competing nations. 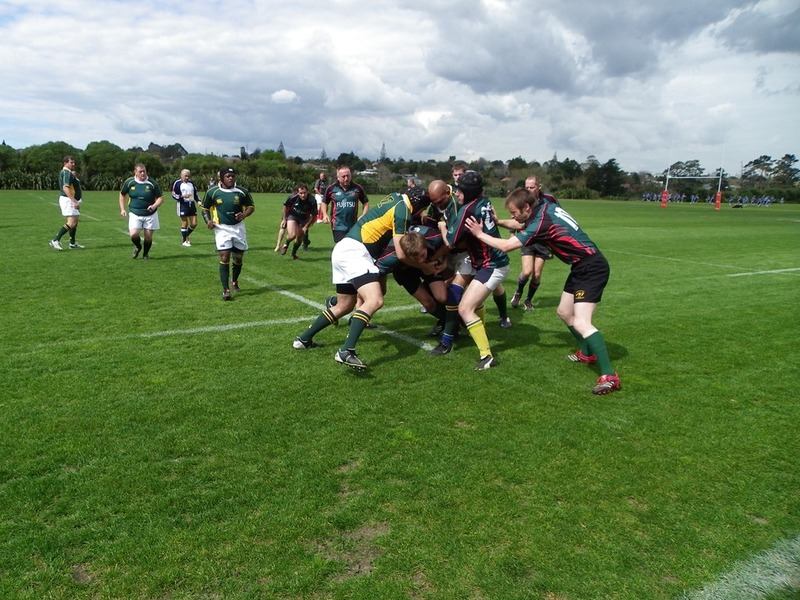 Thursday was the final round of games for the Parliamentary World Cup to be played at the wonderful Waitakere sports complex. What a brilliant facility this is! Our games were played on what turned out to be practice pitches although they were superb. The main pitch is surrounded by an athletics track with a large stand, and the indoor facilities were outstanding. Eight huge changing rooms for outdoor sports (there are another dozen or so for indoor sports) an indoor 60m four lane sprinting track, a simply enormous indoor space as big as a rugby pitch used for multi-sports (basketball, badminton, indoor cricket, etc. ), a superbly equipped gym and a number of functions rooms with bars and catering facilities. 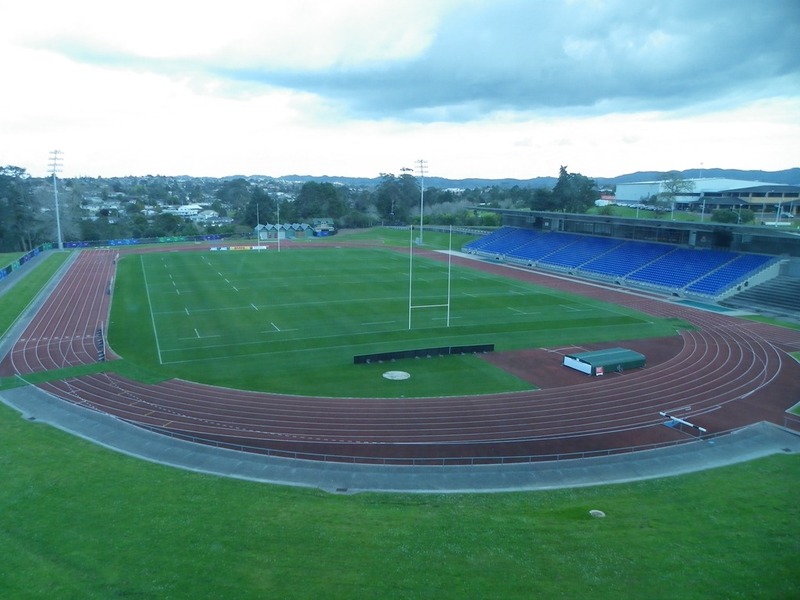 It’s no wonder that the All Blacks use this as their training base. The Parliamentary Lions managed to pull in more local players for their final game against an injury-stricken South Africa, putting in their best performance of the tournament to gain a 17-17 draw. 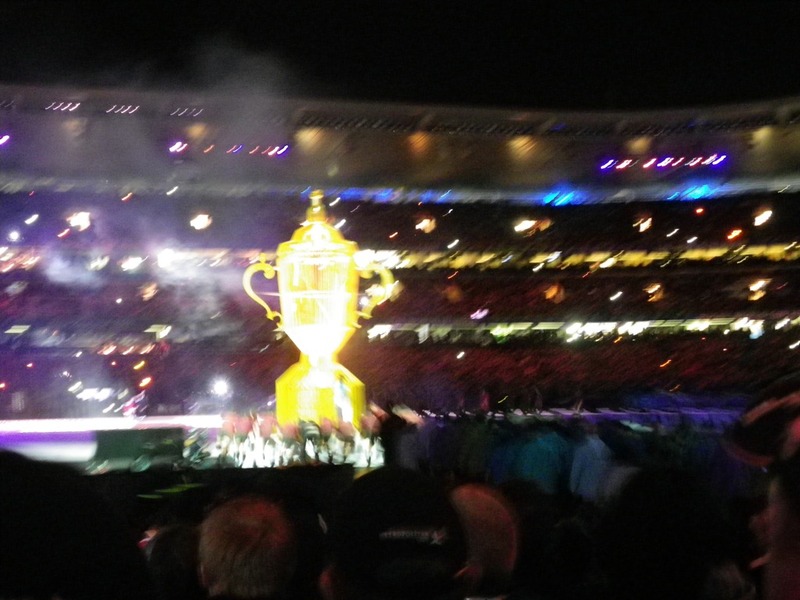 Afterwards the Parliamentary World Cup was presented to New Zealand who beat Argentina 14-0. In the evening the teams were invited to a formal end of tournament reception at The Cloud, a facility specially constructed on the quayside for the Rugby World Cup. Ours was the first function to be hosted at The Cloud which will be open to the public during and after the tournament. There were a number of formal speeches but it was no surprise when the Argentines starting off the singing which continued in the executive area upstairs and later in the bars around Auckland. 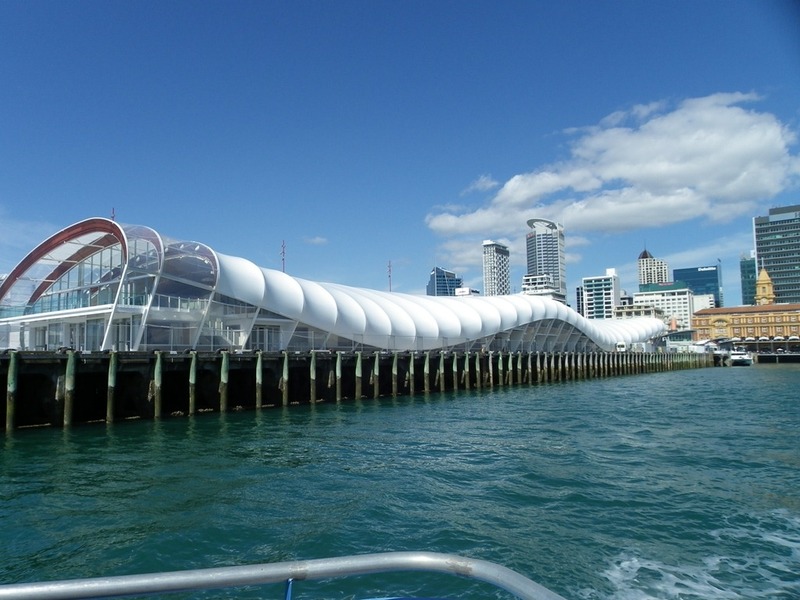 With a free morning and afternoon a few of us took the ferry across to Devonport on the other side of Auckland Bay. There is a joke that when you visit New Zealand you should set your watches to 1958. In general that is a little unfair but in the case of Devonport it could be justified. We took a minibus tour of the island with its pretty houses and well-maintained gardens (properties here rarely sell for under NZ$1m) and up to Flagstaff Hill with stunning views of Auckland. The driver proudly told us that there are 18 Morris Minors and 14 Daimler Darts on the island all lovingly maintained and adding to the feeling of stepping through a time warp. 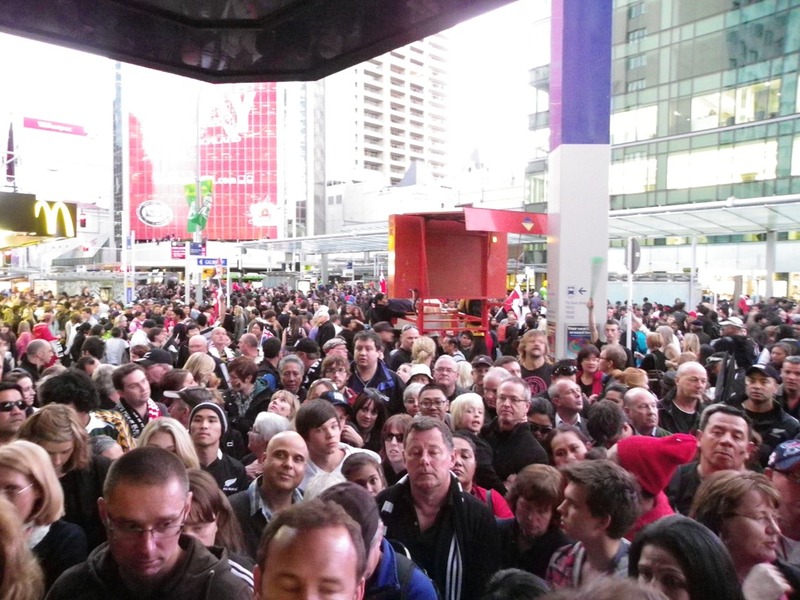 The build up to the opening ceremony was starting in Auckland and we joined the hundreds trying to catch the ferry back. Luckily we got onto one of the boats before the service was suspended as they couldn’t cope with the demand. 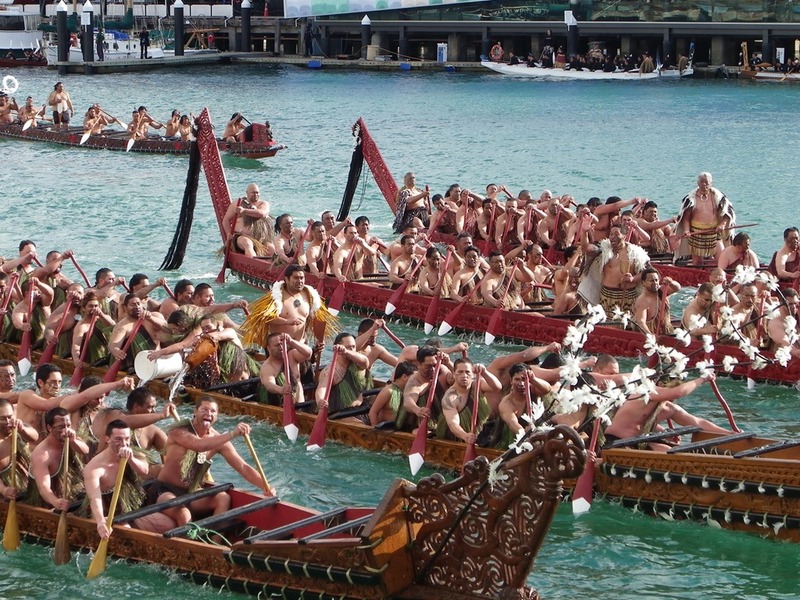 Once back in Auckland we went to one of the quays to wait for the wacas (Maori canoes) that were going to make their way to the Viaduct area before disgorging the canoeists to perform a 600-strong Haka. As the 23 waca came past most were chanting making a wonderful cultural spectacle for the ten’s of thousands of onlookers. By now the Quay area was teeming and we soon realised that our best vantage point to watch proceedings would be from our hotel room windows, so centrally were we located. It is difficult to do justice in words to the colour and sounds of but I hope some of the pictures and videos at the bottom of the page will give you some idea of the experience. With the festivities continuing we needed to leave for Eden Park. Unfortunately, so did a lot of other people and we all descended on the Central Station to get on the free trains provided. There was total chaos as we weren’t allowed into the station until the platforms were clear and the crowds were kept waiting for around an hour before we eventually made our way down the stairs to a couple of waiting trains. The short journey was made at a snail’s pace and it was no wonder that the headlines next morning were of the failure of the transport system with many fans arriving late for the game. Fortunately we arrived in time for the spectacular opening ceremony which must have looked even better on the TV. Although the New Zealand v Tonga game was less exciting this was my first ever Rugby World Cup game and it was a memorable evening.